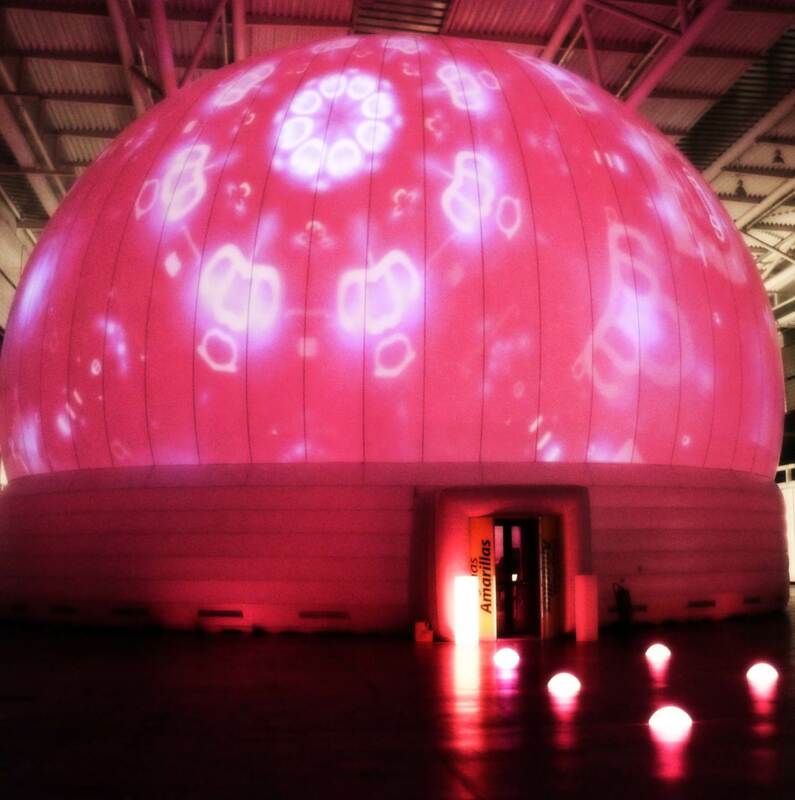 The Dome: a special mobile pressostatic installation to create a new kind of events. It’s able to change your perceptions using a wide sphere with 360° projections. The effect is incredible; the wonder is assured. The show is not only inside but outside too because of the powerful 12,000 ansi lumen projectors that can pass through the special reflective PVC of the Dome. We can create a special 360° video clip about your activity without problems of distortion; your brand can be projected with all the effects that you want. The sound system is professional: 5000W of music to create incredible sensations and a special mixer to mix sound and vocals. A real nightclub: the led furniture illuminates the space with changing colours, optionally following the rhythm of the music. 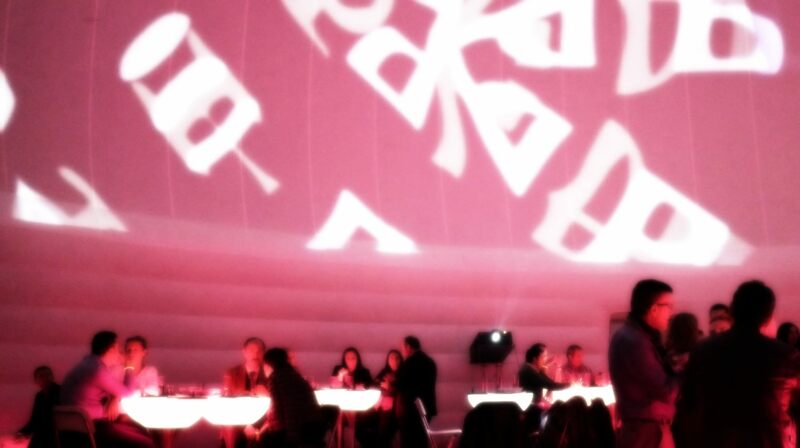 High tables, stools, a special round central bar to create symmetry, spheres, cubes – all you see in the Dome is light. Every event is always managed by an art director to guarantee the quality of the show. The structure is mobile and we can reach any place in Europe using two special trucks, so you can bring the show to your home. hour 0.00. When people arrive the sphere is completely illuminated and the brand is turning and shooting. The guests enter the Dome through a special revolving door. Inside a cocktail served in special spherical glasses waits for them. hour 0.30. The company presents the show/product/service/initiative and the main video is screened. hour 1.00. The dinner starts: 26 special finger food dishes, all served in very peculiar cans, bins, cases or on a Philippe Starck special dish with inserted glass. During the dinner special effects are projected on the Dome. A saxophonist winds among the tables and plays music. Other artists can be chosen (like a magician). hour 2.00. End of the dinner. The night lounge bar service starts, the volume of the music is turned up and the guests can dance in a hypnotic atmosphere under the projected Dome. We check and organise everything. We don’t want your help but only your suggestions for the show. We find the location and obtain all the certifications. We create the videos, find the artists, and create the show. We supply the catering service of freshly cooked food, thanks to the mobile kitchen in the truck and to our specialized chefs. You don’t need the key; we drive for you.